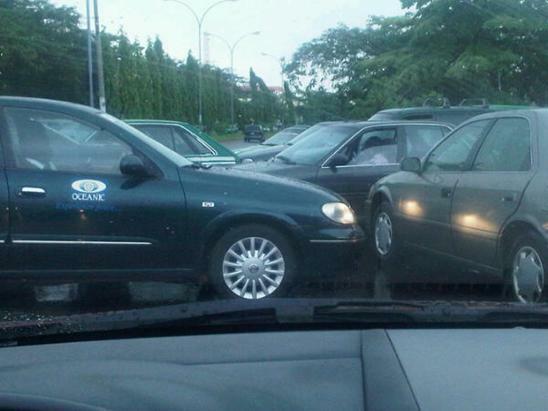 I MUST SAY SOMETHING: THE KAMIKAZE DRIVERS OF ABUJA | Thoughts of a Calabarboy. I MUST SAY SOMETHING: THE KAMIKAZE DRIVERS OF ABUJA – Thoughts of a Calabarboy. Let me break this down a little. Case 1 – I waved down a taxi in Games Village going to the central area and thought the fare rather cheap, so I hopped in with expectation of the drive doubling as a sight-seeing exercise. Shortly, we got to a roundabout and that’s where I got my first shocker. The rule was instantly reversed: ‘At all roundabouts, give way to traffic on your right’. When the cars behind discovered that my taxi man was slow to action, they plotted a graph around him and inserted themselves into the steady stream of traffic from the right, and tires screeched all around us. The somewhat mild drama left me taken aback and wondering what on earth just happened. Well, I have seen that happen at the Lekki second roundabout in Lagos, so no shaking. The journey continued and we got to a three-lane road. I noticed that the driver was driving on no particular lane, so I asked him why and he simply smiled and said nothing. I calmed myself when I saw that every other person on the road did the same thing. With this, the three-lanes could ‘creatively accommodate five cars side-by-side. Case 2 – I was going for a meeting and boarded an unpainted taxi (without the Abuja taxi colours). It was probably my closest experience with something near a suicide bomber as the young guy was flying and swerving on a practically empty road. So I asked him where exactly he was flying to and if he knew the value of the life he was transporting. Repeatedly he negotiated a corner from the outer third lane with oncoming vehicles having to slow down. I almost wore my church sleeves to cast out the devil from behind the driver’s seat. Every other instance of public transportation didn’t differ much, as I only met impetuous transporters hoping to make a living out of such recklessness in productive labour. What is sadder is that even the private drivers are no better. On my way out of Abuja, I driven by a formula one racer. He did absolutely everything wrong and yet was still not the fastest driver on the road. I did the derivation and realized why Abuja had such a high rate of accidents in the country. I concluded that divine protection indeed was real if you ever stepped out and stepped back safely into your abode. Even if you are the sanest driver in Abuja, your style will probably be termed as insane since it doesn’t go with the flow of things. On almost every major road in the city you find some evidence of an accident. And with all these, the streets are bereft of proper traffic policing, even at major intersections where the traffic lights aren’t working. Rather, the few policemen I saw mounted funny road checks looking for what I particularly couldn’t figure out. I keep asking myself if a nation that cannot police its few roads can claim to have capacity to deal with higher security concerns such as terrorism. I reckon that most of the city’s dwellers only drove on bush paths before and thus in sheer delight to see express roads, thereby going berserk. It’s a city of mostly government immigrants so it is safe to make such conclusions, since ‘nowhere’ else in the country do we have such good roads. Therefore it will take a proper strengthening of the laws and deliberately so to tackle this menace. However this should be something akin to Lagos’ LASTMA on steroids. One may probably be able to chase and catch an offender in Lagos. But in Abuja, they will most likely escape through the race tracks, like the one I saw one early morning in Wuse Area with my korokoro eyes. On this wise, Abuja will even need traffic helicopters to track down violators. The city can also generate monies from offenders who will only collect their vehicles after paying heavy fines. The city authorities should also invest in acquiring Towing Vans and make sure there is one on every major road to tow the vehicles of lawbreakers. Until we place such deterring measures in place I’m afraid the beauty of the city’s streets will be constantly soiled with the blood of its citizens. 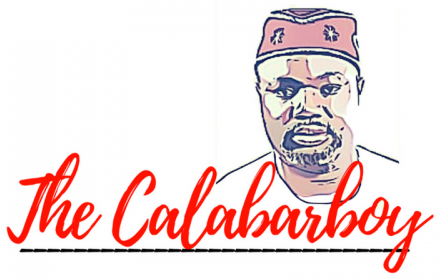 ← WILL CALABAR LET ITS CHILDREN DIE? funny tory but true talk. Yes, no enforcement of road rules is an issue. And yes the lack of driver testing or even knowledge of road rules is another. To me though, Abuja driving optimizes the selfishness of the Nigerian driver. Feel free to criticize why would anyone pull in front of another and block an intersection when the most they have to gain is the mear 5 meters progress between them and the bumber of the car in front? A whole two lanes of traffic crossing in the opposite direction is blocked. Mean while more cars continue cram the cross roads to try and gain the extra 10in and bing, bang boom… we have a massive jam where no one can move. Night after night I sit in traffic for no other reason than this.